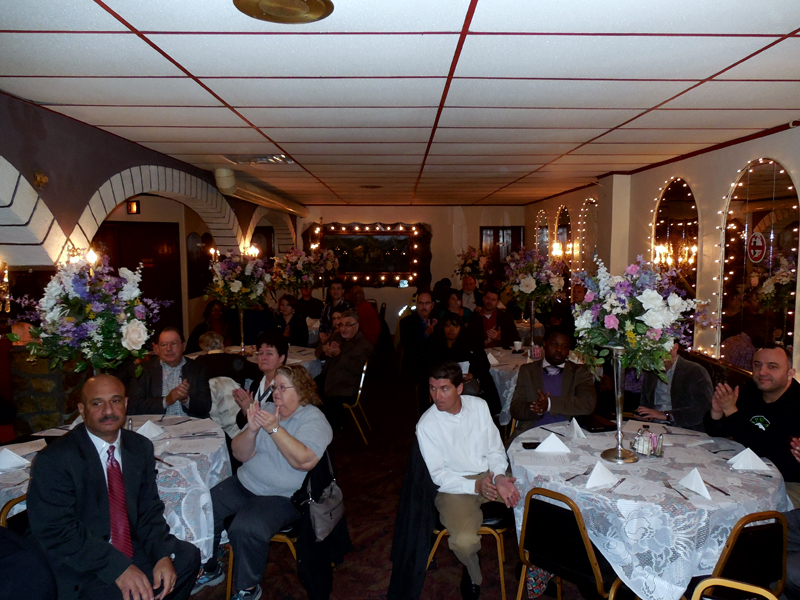 Casbah Caterer’s was standing room only as the Aramingo Business Association (ABA) welcomed the Kensington and Allegheny Business Association (KABA) to their Annual Pre-Holiday affair. The meeting was very enjoyable and most informative. City Officials from 24th Police District, L&I, Philadelphia Water Department, and the District Attorney’s office outlined their vision and plans for the future of our area. Websites were unveiled for both the ABA and KABA. As always, the food was appetizing and the opportunity to network after the meal was spirited. Conversation rounded off another successful year of working together to reach our mutual goal of both corridors to be a “Clean, Safe and Pleasant Shopping Experience”. We will do it all over again in 2014!